The WZ-110 was the one useful Chinese heavy - a real heavium. Great DPM, but lack of IS type armor. Bad Change, as now it’s just another Chinese lemon tank inferior to everything. 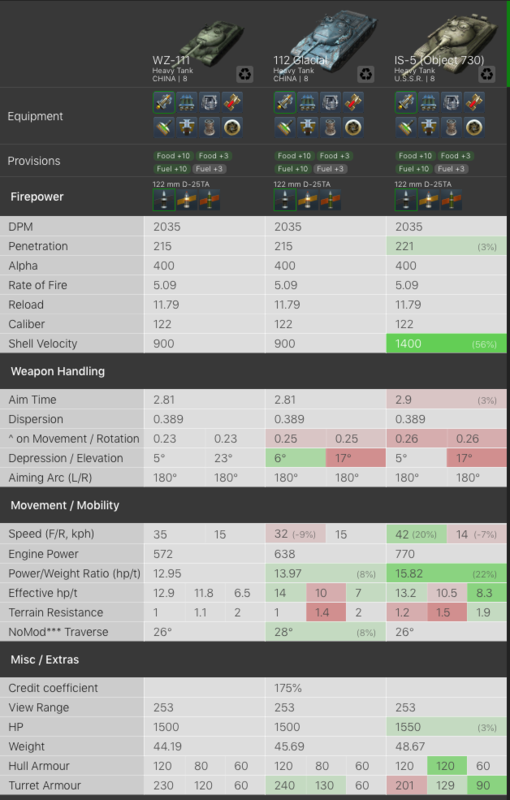 LTTB, meh probably did have too much as it could bounce a lot frontally even some tier 8 Guns. Edited by __Crusader6__, 20 June 2018 - 04:56 AM. Current Data Analyst and Certified Gold Noob of [HATED] - Hated for a reason. Founder of [PZ3] - Always Loyal, Always Fighting, Always Courageous. PZ3 will carry! Statically the WZ-110 is overpowered. According to Russian statistics the tank is averaging a 65% win rate, that’s higher than the defender, and is also the highest for tier8 . I don’t think the changes will make the tank “another Chinese lemon tank,” because it’s still going to have the great armor and gun, just in a less overpowered manner. Thanks for convincing me to get to it and grind that line very passionately. We want these vehicles to be different. You've introduced yet ANOTHER lobotomy-simple IS# clone that will undoubtedly overperform just like the other tanks with which it shares nearly every attribute.... meanwhile, more than a few tanks at the tier are borderline unplayable because they face nothing but hordes of these... EVERY. SINGLE. GAME. Tier 8 is minusfun, and y'all haven't really done much to change that. Edited by Blartch, 29 June 2018 - 12:26 PM. Is it true lower tiers are going to remove Equipment and Provisions as well as some consumables? What will this do to my premium tanks that I paid MONEY for, and back when Spare Parts were a hard to get currency poured into those tanks and WAITED for the timers? For the 4th of July crates, could u put in a suggestion to make them available for gold so players can access them in case they've already spent money on gold? Here is my issue with the Chinese mediums that use heavy tank guns, T-34-2, T-34-3, WZ-120, and WZ-121, you give them heavy tank alpha, but not the pen. Add to that the worst DPM in class even with respect to many heavies, and these tanks are POINTLESS in the game. They have no unique gameplay nor advantage that makes them desirable and playable. WG, you want to fix these tanks? If they have heavy tank guns, then give them heavy tank penetration and make the DPM on par with the heavies. That's how random battles work. Experienced players can be your enemies or allies with the same chance. If you don't like random matchmaker you can fight in rating battles. Lol, who has 10 minutes to wait around for one match? A lot of times there is only enough players for 3v3. Because Rating Battles are pointless. My win rate is my rating. Umm. No. That would be OP. They have mobility and strong turrets and low profiles to compensate. yeah... But they have gun depression to counter their own turret in the first place, with weakspots about twice the size of their common opponents on top. That is clearly why the T-34-2 is such a great tank. Or the WZ-120. Or the Type 58. Oh they aren't? But the T-34-1 is? Could it be because unlike said examples, the T-34-1 has actually good firepower, especially for it's tier? Edited by Oicraftian, 06 July 2018 - 12:06 PM. The 152mm on the T49 needs some love. It needs it's pre-nerf pen and reload back. Module dmg should stay at its current level. Also its ammunition needs to be looked at. HEAT is next to useless. The tank needs a standard HE round and a premium HE round in addition to its mediocre HEAT round. WG nobody cares what you do to the 90mm on this tank. Players play it for the 152mm. Please stop trying to social engineer us into playing the 90mm. Edited by SpartacusDiablo, 06 July 2018 - 12:16 PM. Seriously though I'd be curious to know how much of that damage comes from HEAT rounds. As far as it being #1 that kind of surprises me but I guess it makes sense. Playing lights in the IS heavy tier 8 can be trying at times. The ability to smack them with a IS# or its clone with a HE round for 2-300 dmg where other lights may have bounced is nice. I'd still like to see a change to the ammo types. I think a good mix would be a standard HEAT round, a standard HE round, and a premium HE round with KV-2 Alpha, but less pen. That's just my two cents though. Against Update 5.5 Tech Tree Changes and will always be! What about Panther II? Maybe a traverse buff? If you are going my stats, it has the second worst 90 day WR for t8 meds. (via Blitzstars). Maybe your numbers are different but that is pretty well down at the bottom of the barrel, considering how many t8 meds there are. As for in-game analysis, I haven't played it nearly enough to form an opinion, but I am sure there are many players out there who think that this tank is lagging behind its competition. Edited by tankeatingtiger, 06 July 2018 - 03:33 PM. "All you peasants be silent and allow the ruling class to dictate. Is better." Ribble, please do tell, what exactly does the Pershing bring to the table of tier 8 mediums that others do not? It has a 90mm with 225 alpha and 180mm of pen: Average. It has a 48 kilometer per hour top speed limit with a mediocre power to weight ratio: Below average. I'm not saying the Pershing is in any league of terribleness with the likes of the Panther 8,8 or the M4 Ravioli, but is definitely in need of some lovin' in my opinion. Edited by BrickSniper33A, 06 July 2018 - 10:03 PM.